Find homes for sale in Four Seasons Harbor Bay in Little Egg Harbor. Call 732-616-6226 when you’re ready to buy or sell an adult community home. 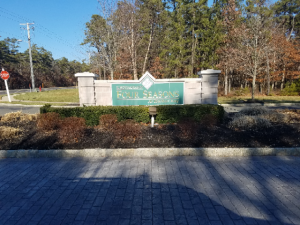 Four Seasons Harbor Bay in Little Egg Harbor is a gated, active adult community,with 387 homes. It’s built adjacent to Sea Oaks Golf Club, a public course. New construction started in 2007 but is no longer available. However, resales are available at times. There’s a homeowners association, therefore a monthly association fee will be assessed, which covers lawn maintenance and snow removal. The homes in Four Seasons Harbor Bay have either two, three or four bedrooms, and all homes have 2 car garages. Square footage on the homes ranges between between 1900 to 3200 square feet. The homes are not the usual models offered in the various Four Seasons communities in the area. Eight different models of homes are offered, and a few of the homes have a loft. Additionally. some homes have a basement. The 16,000 sq ft clubhouse is at the heart of Four Seasons Harbor Bay. It offers 16,000 sq ft with a ballroom, sauna and more. Whether it’s warm or cold outside, swim in the indoor or outdoor pool. Additionally, there’s a State-of-the-Art fitness center.so that you can stay in shape. Additionally, you’ll find trips and socials in addition to many clubs. Located a short drive to the ocean, Four Seasons Harbor Bay is also near to Atlantic City. 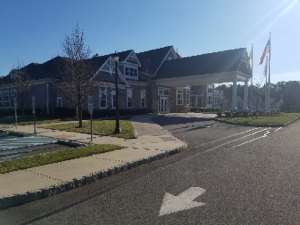 The Ocean County transit system, Ocean Ride, provides bus transportation throughout Ocean County. 12 bus routes connect key residential areas with popular destinations such as shopping, employment, in addition to social services. Furthermore, the Reserve-A-Ride Program provides door-to-door, non-emergency medical transportation service. This transports seniors (age 60 and over) to medical facilities in Ocean County. Advance reservations are necessary but a fee is charged. Four Seasons Harbor Bay has a great location because it’s just minutes from Long Beach Island. Contact us when you’re ready to either buy or sell a home in Four Seasons Harbor Bay. Call or email Realtors Bunny & Art Reiman – the Active Adult Community Specialists.